The Salzkammergut is known in summer for its picturesque landscapes and idyllic towns, and in winter for its Christmas markets and the peaceful atmosphere in the region. 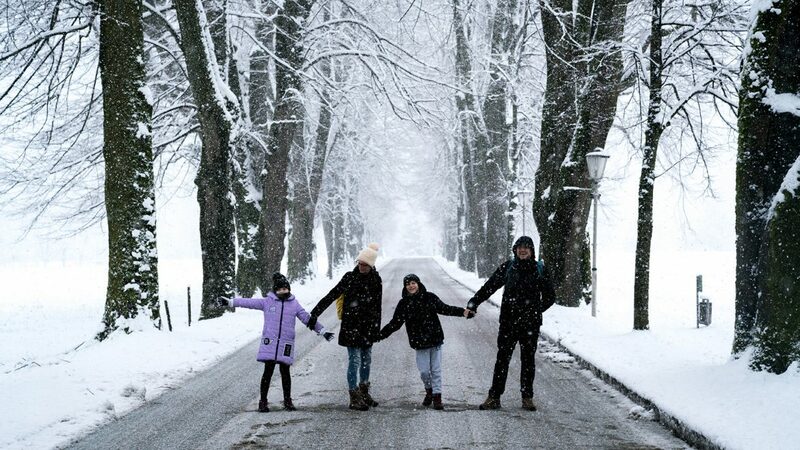 The Italian Blogger family "Bambini con la Valigia" ventured up from the Adriatic Sea to the Christmas World of SalzburgerLand and were enchanted by what they experienced. Fabio, Giulia and their two children, Simone and Siria, are like a picture-book family. With the only difference being that they could fill entire books with their many trips and stories, rather than only being depicted therein. The story of their time before Christmas is all about the magic of Advent in the Salzkammergut. There, this Italian family spent three days in the region carried away in a winter wonderland, and with everything that that entails – snowflakes, Christmas Carols and the smell of cinnamon and cloves. This family of four actually lives in Grado, where many, many tourists go on holiday. With Fabio and Giulia, it is exactly the opposite. They regularly take to their heels and explore the world, and always at their side are their son Simone (11 years old) and their daughter, Siria (8 years old). It’s clear to see the Italian temperament and the joy of travelling in this family. On their Instagram channel, they just start talking and full of euphoria, show their followers where they are travelling to, what they are doing and what they’re planning next. Their curiosity for the unknown was well satisfied in the Salzkammergut region. For example, with trying on Angel’s costumes or at while tasting lovely local delicacies at the Christmas markets. But also while ice skating and during an imperial carriage ride through Bad Ischl. Traditions and customs are held in high regard in the Salzkammergut region. This is why the motto of the Lake Wolfgang Advent is also “Advent as in bygone times”. 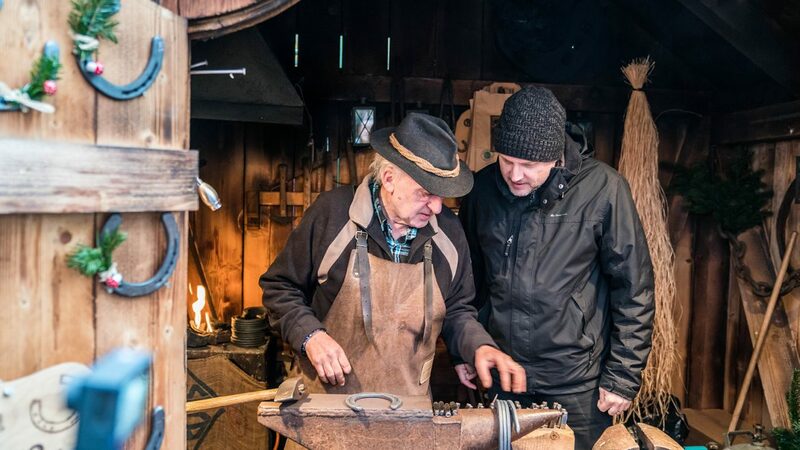 In St. Wolfgang, you can watch over the shoulders of the masters of old craftsmanship while they work, or once a week experience the market by candlelight – and only by candlelight. Just as it was back then, with no power or lights! The “Bambini con la Valigi” family took a boat ride from St. Wolfgang to Strobl. From there, they were able to take in the pre-Christmas atmosphere surrounding the Christmas markets. 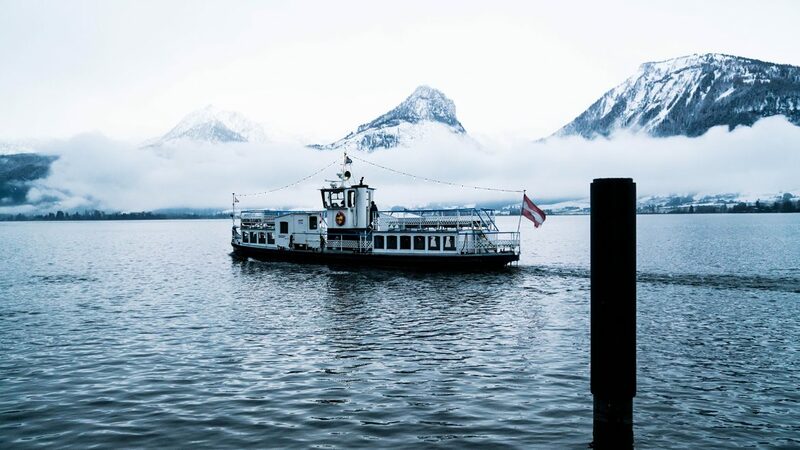 The contemplative silence was even on the water, which silently carried them to the nearest shore, where they made a visit to the market in Strobl. Even in the Imperial times, people knew to appreciate the special flair of Bad Ischl. On a horse-drawn sleigh ride through Bad Ischl, “Bambini con la Valigia” felt just like Emperor Franz Joseph and Sissi, and then discovered the beautiful Christmas market in Bad Ischl Drink Hall. Especially, the pieces of the craftsmen had gotten to them and thus became a part of the Christmas presents. In Mondsee, this Italian family were able to check off the cultural part of their Salzkammergut Bucket List. In the Gothic cloister of the former monastery, craftsmen and sellers presented lovingly manufactured products, and at the Perchten exhibition, Simone and Siria could let out their inner Krampus. These masks carved with great attention to detail were both frightening and impressive at the same time. 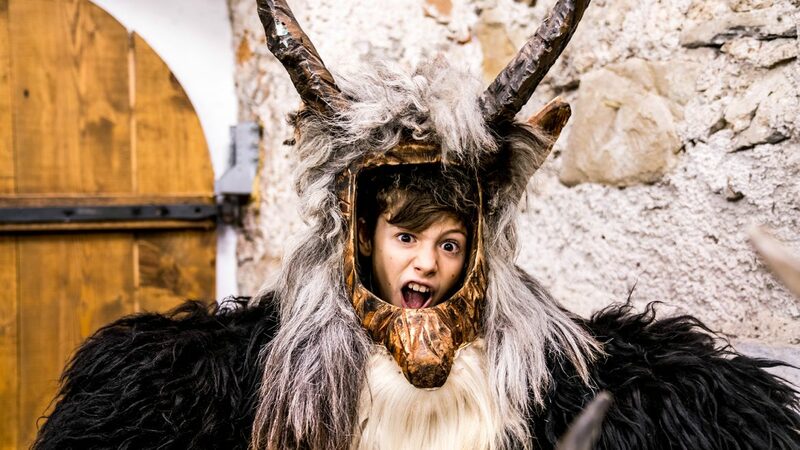 "Bambini con la Valigia" examined the Christmas markets in the Salzkammergut region, tasted their way through and got into the Christmas mood. "Bambini con la Valigia" spent three days in pre-Christmas SalzburgerLand and reveal their top 10 highlights. 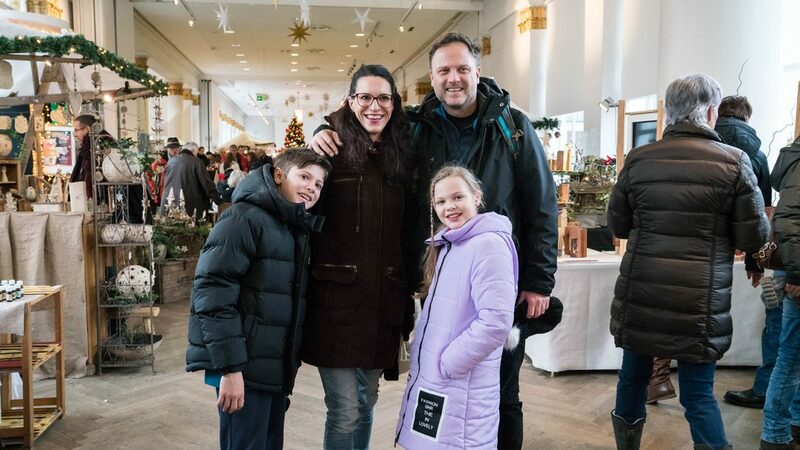 "Bambini con la Valigia" spent three days tasting their way through the culinary highlights at the Christmas markets in the Salzkammergut region.